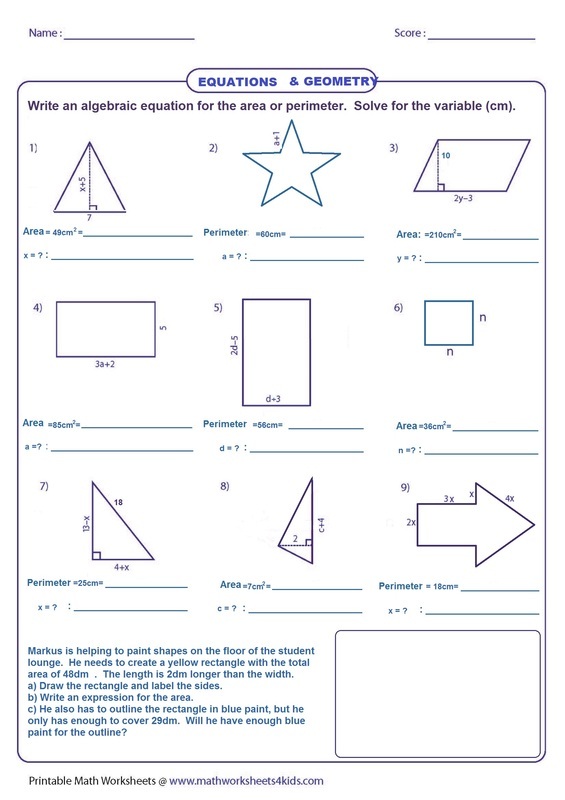 You can apply the same knowledge about algebra and geometry together. PERIMETER: Since the perimeter is the sum of all sides, calculating the perimeter with variables just means adding up all the sides then simplifying. 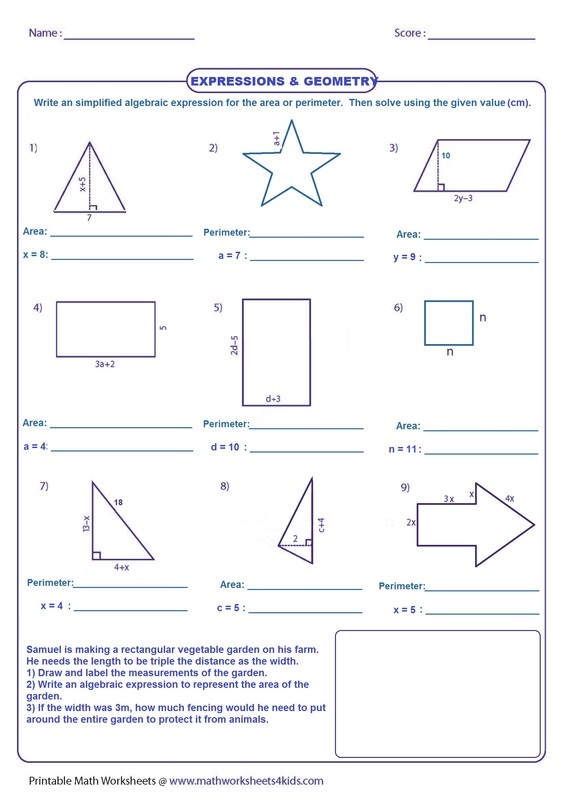 AREA: Since there are different formulas for solving the area of different shapes, you just fill in the needed information and then simplify. If y = 5cm , the then area of the rectangle = 3(5) +12 = 27 cm squared. If x = 8cm , then the perimeter of the triangle = 9 (8) = 72 cm . If x = 3cm , then the perimeter of the diamond = 4 (3) = 12 cm . § 2.5 Formulas and Problem Solving. Martin-Gay, Beginning and Intermediate Algebra, 4ed 22 Formulas A formula is an equation that states a known relationship. Mrs. English Fox Creek Jr. High BCESD.  What is an equation?  How are equations useful in solving real- world problems?  How do you solve an algebraic.